There’s a wealth of SEO techniques and tactics for you to consume online, however not all of them are straightforward to apply and can take some time to implement. Here are the best SEO tips for beginners which include actionable and essential SEO tactics for better search engine results. LSI keywords stand for Latent Semantic Indexing keywords. They’re the related keywords you’ll find at the bottom of a Google search results page. Include more of these keywords in your next piece. Posting an Infographic? Throw some text in, too. You may be thinking why an infographic, which condenses what you want to convey, needs to be accompanied by text? Simple, really. Google can’t see images: add text so search engines can understand the content better. Check here for other content ideas. Ecommerce sites often fall victim to duplicate titles. Take some time to make sure each page title is one-of-a-kind. Take a look at this for some handy title tips. Say you’re aiming for a keyword such as “SEO tips”. Why not be double competitive and optimise for “quick SEO tips” or “best SEO” tips instead? You’re targeting your focus keyword as well as ranking for your long-tail keyword. Double win. This is great for your SEO efforts, but don’t overload it. We all love practical pieces that teach us how to elevate your game. Your chances of having this shared is much higher than having a piece that is simply an opinion. Need a creative boost for your next piece? Check this out. The idea that keyword density helps with your SEO efforts is probably irrelevant nowadays. Focus instead on the number of times you use your keyword. Ensure you include your focus keyword several times in the body text and within the first 100 words. It may not have a direct effect on your SEO but it assures your users that you’re a legit website. White-hat pages will have these, yours should too. Having your focus keyword in these places definitely help, but if used too frequently, try and replace them with closely-related words instead. This is most definitely a fundamental tips for both new websites and old. Having a title tag around this number generally helps to ensure you aren’t over Google’s pixel limit. So, a reader loves your article but a social sharing button is nowhere to be found. Don’t make them look for it; try use a plugin that follows the user down the screen. Check here for more on social SEO. Ensure your product descriptions are highly detailed and include semantic and LSI keywords where possible. Generally, homepages are tough to rank for since they often aren’t loaded with content. Optimise your homepage with your brand / company name and focus on converting. Articles that are longer generally perform much better than shorter content. Usually you’ll find yourself writing in more detail and covering more. Putting your keyword at the beginning of your title is favoured by search engines. Use it if you can, but keep remember to keep it natural. Look at past articles you’ve created – can you make them better? Try to update your posts where you can and keep it fresh. Again, keep your content fresh and let your readers (and search engines) know you still want to add value. Change the date it was publish to make it appear recent. A good rule of thumb is to link pages with high authority to other pages that could use a rank boost. Google favours content that sees a lot of updates. Show them that piece is important, and your readers will too. Here’s some content ideas for you. It’s easy to create pages with missing or duplicate title tags. Use this free tool to fix these immediately. Make your content digestible. This means using images to declutter your writing. Doing this will likely encourage users to stay longer on your pages which helps your page dwell time and on-page SEO. To help your chances of getting a featured snippet you should opt for creating a numbered list. Ensure these ‘steps’ directly answers your searchers questions and make sure it’s simple to understand. Look forward to more featured snippets in the near future. It may not be a definitely way to propel your rankings but according to Google, it definitely helps. Link out to other relevant websites and blogs, so long as it helps your readers. It’s useful for searchers and search engines if your URLs are kept short. There’s a plethora of evidence to show that the shorter and cleaner a URL is, the better it will perform in the SERPs. Try begin your next piece with a useful tip for your readers at the start. People often search for keywords with modifiers to narrow down their search. Take advantage of these and add them to your title tags. Ensure your readers that they’ve jumped to the right page by using your chosen keyword within the first 100 words of your piece. If your article has a great sentence or two you think is worthy of sharing, get that exact sentence tweeted. This also makes tweeting quotes and images much easier. Images can’t be read by Google so they have to rely on an alt text’s description. Optimise this like a caption by using your keywords but don’t overload them. The majority of universities will have pages dedicated to scholarships. Create your own page and inform them so they might link back to you. .edu sites have a great amount of authority, so trying for these backlinks would certainly help your SEO. If you have a great article you think provides super value, then find yourself a link roundup opportunity. They may not have as much power as other links, but they’re certainly worth the effort. Creating original content and getting creative is hard work, but your chances are better when there are others to help you out. Get in touch with other closely-related and work on producing even better content such as case studies or infogrpahics. People are more likely to be drawn into content that provides hard, visual evidence. Generate these when you can and make your articles more interesting. If your shorter articles (usually around 300-400 words) aren’t performing too well, gather them into one super content to boost their perceived value. This helps to tap into more potential traffic. Help the newbies learn the jargon in your industry and help them understand what the words mean. They’ll thank you for it. Technically savvy? Build a tool! If you ,or someone you know, are capable of building online tools then jump right on it. Tools are, especially free ones, are useful and people love taking advantage of them. Infographics tend to get more shares than generic pieces of content. If others use them on their site then that’s a double-win; you get an extra backlink to your site. Again, take advantage of collaborating with others by getting in touch with other sites. Why get together and generate an infographic which combines both your knowledge and theirs? This will often make your infographics more valuable. Posting as a guest on other sites can be great for building those links, but always keep in mind the QUALITY and RELEVANCE of the sites. When using hyperlinks, try to maintain a balance of exact match anchor text and semantic keywords. With Google’s recent Penguin update, you could be penalised for overstuffing. You may have learnt that quality over quantity is important, but not always. Take the advice with a pinch of salt and grab a link from a quality site where you can. However, ensure the site’s authority is too low; find that balance. Metrics are important, sure. When it comes to link building however, try not to overthink the page or site authority when it comes to deciding whether or not it’s worth it. Sometimes all it takes is a simple visual scan of the content; if you feel that it provides good value and is visually-pleasing then definitely consider it. Twitter undoubtedly has a wealth of new and original links. Take advantage and generate a relationship with industry-relevant bloggers to get your content shared. Just be careful about paying for links. For better rank boosting, look at building links that don’t just focus on the exact keyword, use similar phrases that convey the same meaning. Podcasts are largely ignored when it comes to building links, but when done correctly they could build immense value. It may be difficult to find a podcast opportunity with someone, but when you do the benefits can be great. Use sites like Haro to identify opportunities for link building. Reporters on these sites often look for experts in their industries to gain an opinion for their own piece. Use these opportunities to help them out and you’ll likely gain a link for your own site. If you have a great piece of infographic, you’ll want to find out who’s using them. By using Google’s reverse image search you can discover who’s shared your piece. If they haven’t linked to you, use this opportunity to ask for one, more often than not they’ll be happy to. When using outbound links in your piece, be sure to let that site know. Get in touch with a simple email and let them know that they’re featured in your piece; usually they’ll be happy to help you out through social sharing or more. It’s great to write pieces of content that are highly focused on your target consumers, but wouldn’t it be even better to up the ante? Creating articles that appeal to influencers can help you raise the bar and will help your link building effort in the long run. Take advantage of resource pages for link building. Head over to Google and consider using syntax, for example inurl: resources, to discover more you can build links from. If you find a broken link, inform the webmaster and offer to replace it with one of your more useful pieces. Additionally, you can scale this type of link building by using a prospecting and outreach tool like NinjaOutreach. Reach out to those who comment on your pages. The fact that they’re posting to you shows that they’re there for a very particular reason and are interested in what you offer. Social media is great for pushing your content, but don’t overlook the power of email. Get your blogs directly in front of them and let them know you’re live. When building links through email always aim to use a name, even if it’s through a generic “info@” address. The odds of getting a reply can be increased through this simple tip. This applies to those who actually love presenting; this isn’t for everyone, though. Becoming a speaker at events and conferences is a powerful way to get your brand name out there and have bloggers link out to you. When you stumble upon a piece that strikes you as highly valuable, try and get in touch with the creator. If you speak another language, do offer to help them with a translation of that piece. There’s a great opportunity here to gain yourself a backlink. Regularly review your backlinks to sift out any harmful links to your site, otherwise your SEO efforts could potentially be hurt. If you see an unwanted link, try to get in contact with the webmaster, if that fails, use Google’s disavow tool. Pay attention to social mentioning tools such as Google Alerts and Buzzsumo; listen-in to who’s talking about your brand. If you notice that you aren’t linked, simply get in touch and ask them for a link to your site. Offering to refresh other people’s’ content can really be advantageous to link building. By helping them update their material you could be earning yourself a handy link to your own domain. Discover something you like online? Look for testimonials page on their website and offer to give a great review. This can help your chances of grabbing an easy, albeit valuable, link to your website. Case studies can be useful and informative. Developing personalised case studies for your business can help you gain that extra bit of advantage. By simply knowing the potential value of a keyword can help save you time and effort in the long-run. Simply use tools such as Google Trends to help you determine the past and present performance of a keyword and if it’s worth pursuing. Long tail keywords are highly focused and they help, sure. Google’s algorithmic changes however have rendered these techniques less-effective than they once were. Try to focus in between head keywords and long-tail keywords. Wikipedia is essentially the a bible of backlinks and keywords. Scanning relevant Wikipedia pages can help you to uncover keywords you may not have thought of. Quora is a fantastic place to discover exact phrases, related keywords, and questions people are using. Find keyword opportunities and use them to enhance your own strategy. Scroll down to the bottom of Google’s search engine results page (SERPs) and you’ll find a list of related keywords. Also known as LSI keywords (Latent Semantic Indexing), they’re simply keywords or keyword phrases similar to your chosen keyword. Your current users could hold the key to what you’re seeking. Consider building a survey and asking them which keywords or methods they use to search for your brand. Pay attention to your pages already ranking in the first page / top of the second page. If there are pages ranking just outside the top 5 (say, rank 7 to 15), look to build links and optimisation your in-page elements to push it further up. Use Google Search Console to find these precious pages. Results for broad keywords are often accompanied by definition pages. For example, a search for “link building” will return you with “What is link building?”. Cater to developing pages that provide these answers. Knowing what your competition are ranking for can open up many avenues. Use a keyword tool such as SEMRush to dig out the golden keywords. Do some research and identify keywords that are new to the internet. By doing so, you can gain the advantage by focusing your efforts on owning these keywords and reinforce your ranking position early. You can find variations of long tail keywords for your focus keyword by using tools like ubersuggest and keywordtool.io. Type in the keyword you want to expand and start exploring. When people leave feedback they will sometimes hint to some improvements. Look at the comment section on your competitor’s blog and identify which types of issues they are having and then create a direct post to solve it. Head over to Google Search Console and identify which keywords you are being searched for. Utilise these opportunities by making a note and simply create content based on the keyword. Provide your searchers with steps in layman’s terms and create precise steps that answer their question. This also increases your chances of gaining a sought-for featured snippet. Crawl errors on your site can damage your SEO; use Google Search Console often and review them regularly. With Google’s latest Panda and Penguin update, AMP pages are starting to have a meteoric impact on your SEO. Short for Accelerated Mobile Pages, these are created to help pages load much quicker on devices such as mobiles and tablet. Look to creating your own. Google’s bots (or spiders) need to crawl your page in order to understand it’s offerings. Build HTML and XML sitemap and then hand it over to the folks at Google via Google Search Console. Duplicate confuses search engines, and Google doesn’t like that. Take care of those duplicate pages and improve your SEO efforts in the same time. Google could push you down the ranks if your site isn’t deemed mobile-friendly. Check your site through a mobile device and fix any issues that limit your site from becoming green-lit for mobile. hat are blocked which you want unblock, or the other way round. Keep and eye on your technical SEO and stay on top of your robots.txt files by reviewing them at least a few times a year. The size of your images could be dragging your page slow speed to a crawl. Optimise your images with free tools like Optimizilla and retain quality whilst trimming the fat. Nothing kills a searcher’s interest more than the load speed of your page. Examine those pages with Google’s Pagespeed Insight. These tips are a strong starting point for SEO beginners, but there’s always room for improvement and much more can be done to help you yield results. 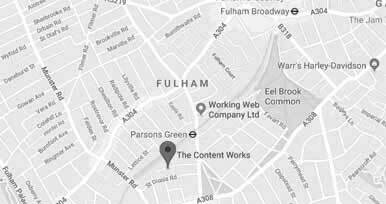 Give us a call on 0207 305 55 99 to have a chat with us about how we can plot out the right SEO strategy for your business.